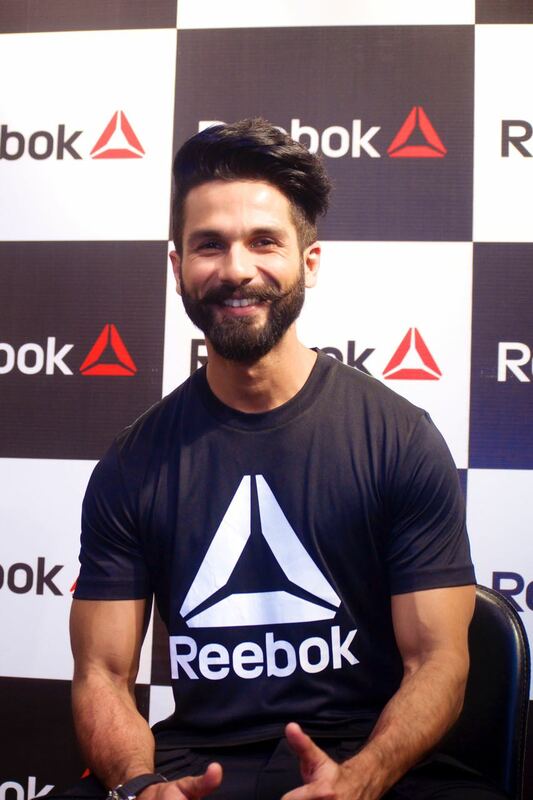 Fitness enthusiast and Bollywood actor Shahid Kapoor was announced the brand ambassador of Reebok India in Bangalore on September 25th. The announcement was made on the occasion of the brand’s new store lunch at Brigade Road. Making a grand entry in the city, Shahid captivated audiences through his performance which consisted of high energy fitness routines and a lot of engagement with the crowd present. Shahid’s electrifying act lit up the Reebok signage and delta logo atop the new store on Brigade Road. Looking super fit in stylish Reebok gear, Shahid revealed the new store to excited fans and fellow fitness enthusiasts who had gathered in hundreds to support the actor and be a part of Reebok’s fitness movement. In line with its ‘Fitness is Life’ philosophy, encouraging young India to adopt to fitness as a way of life, Reebok is up-ing the fitness quotient of Bangalore with the launch of 6 more stores in the city in the next few months as part of its retail strategy for the city. These stores will be in addition to the existing 6 Reebok Fithubs in Bangalore.